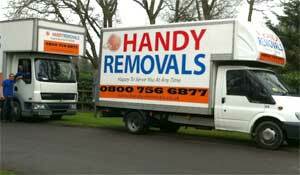 Removal Truck or Removal Lorry, What is the difference? As far as we know, there is none, but we would to inform our customers that some London based law firm has just forced us to change the way we name our “Two men and a Truck” to “Two men and a Lorry” due to some Trade Mark infringement to US based company represent. To our amusement, we were notified that this extremely generic term “Two men and a Truck” has been trade marked by an American company, so we no longer allowed to call our “Two men and a truck” this way. They kindly (not really) suggested that we call our service “Two men and a Lorry” for the time been, so long it is not trade marked by another company. We’re a small and local London based removal company, but we’re forced to change they way we label our service because some mindless trade mark officer in the US has decided to award a trade mark so such generic term? What about if they decide to trade mark “Two men and a Lorry” as well? Shall we call “Two men and a large Motor Wagon?